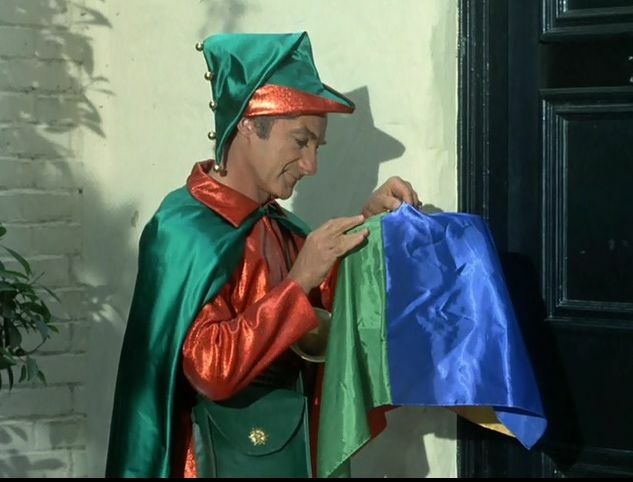 Not only was the late Irwin Allen (1916-1991) the Master of Disaster he was the master of recycling as well. 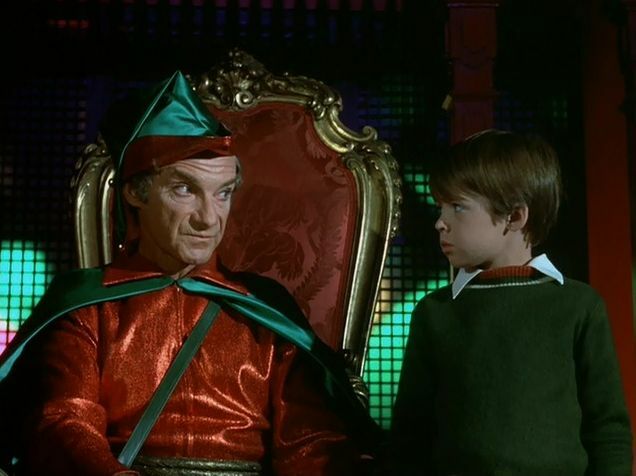 By the time Land of the Giants, Allen's fourth and final sci fi television series was well into production the previous three (Lost in Space, Time Tunnel, and Voyage to the Bottom of the Sea) were permanently off the air, allowing Irwin and his talented crew the opportunity to utilize leftover sets, costumes, and even actors, most of which were currently beneift of weekly television series (and weekly paychecks) and eager to appear in any Irwin Allen Production again. 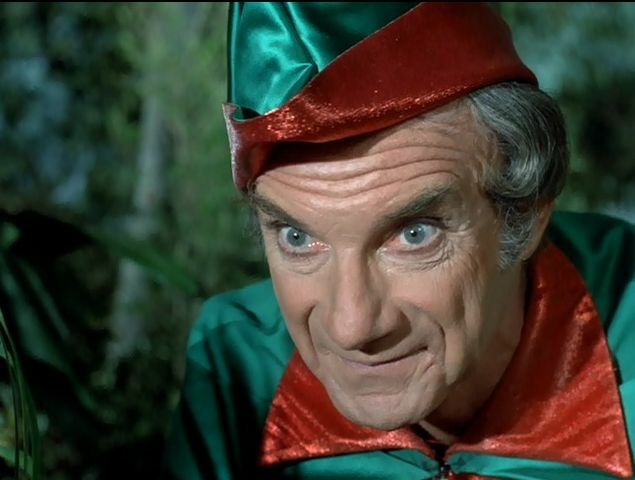 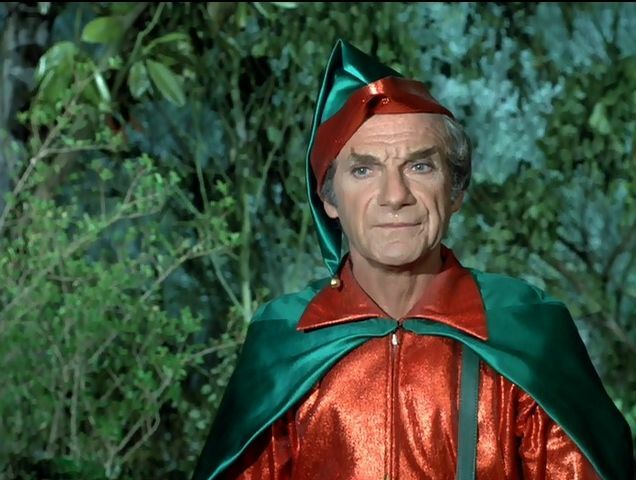 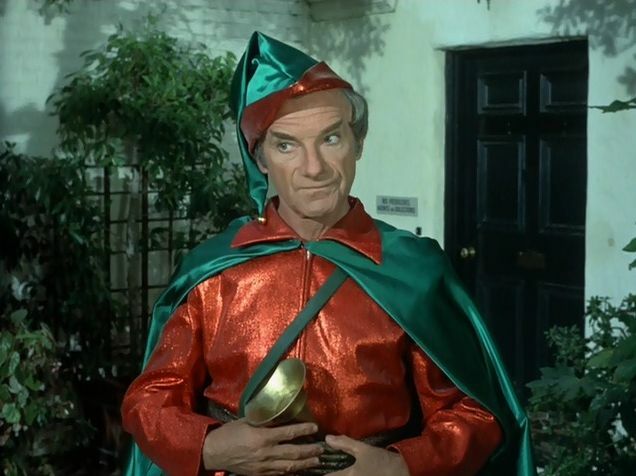 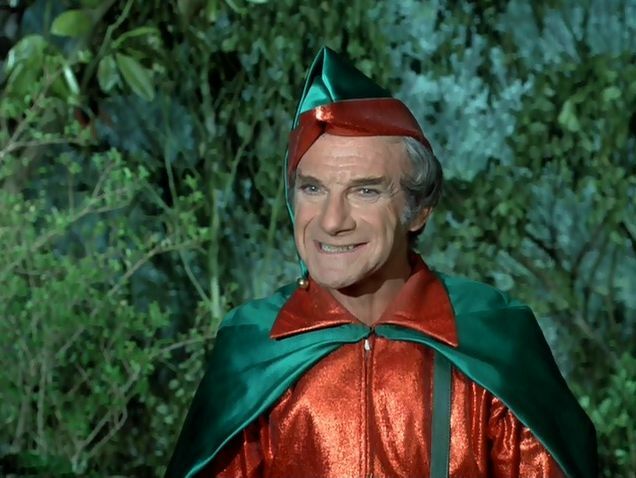 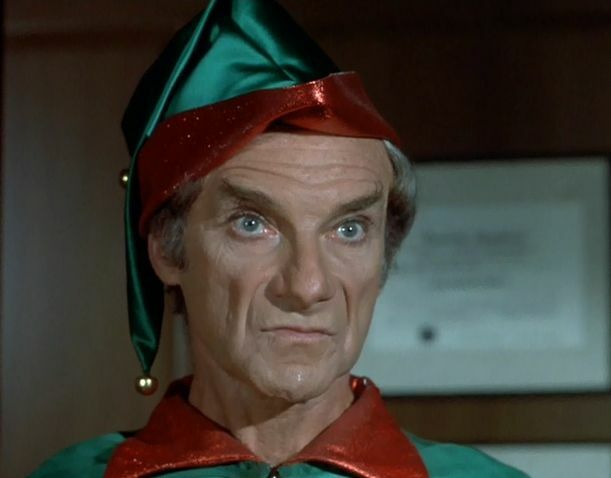 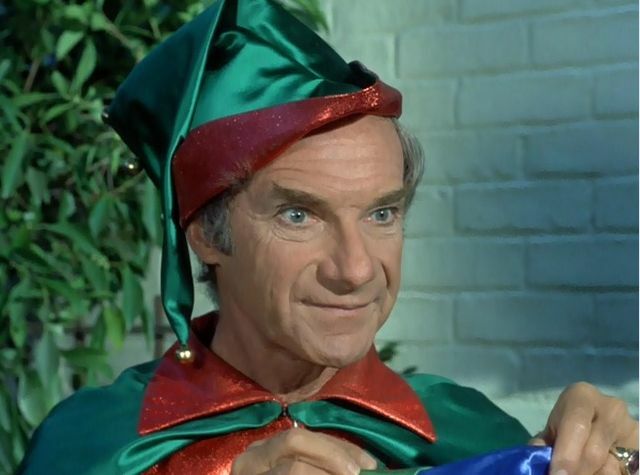 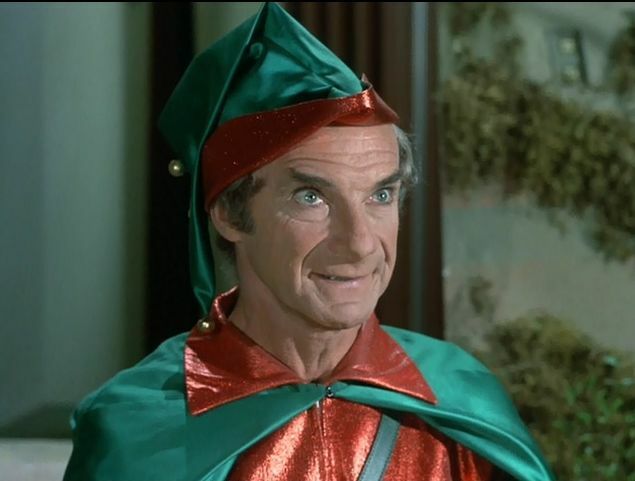 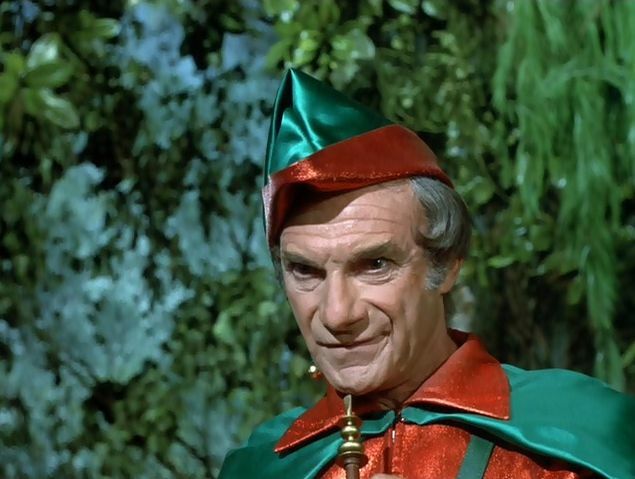 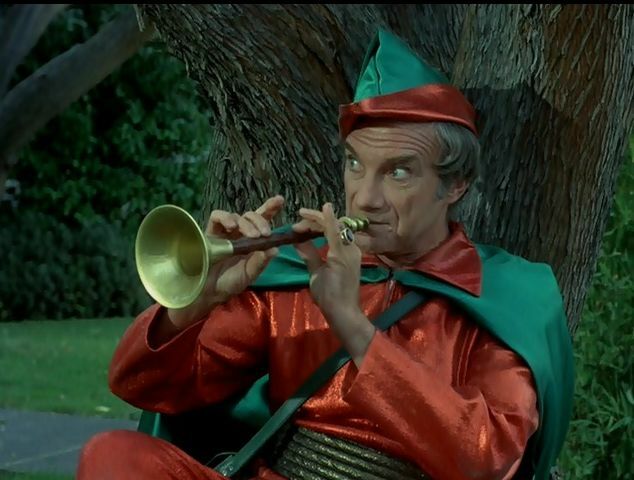 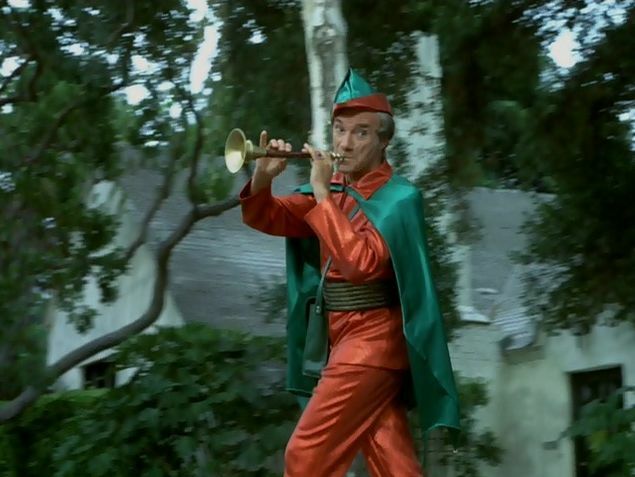 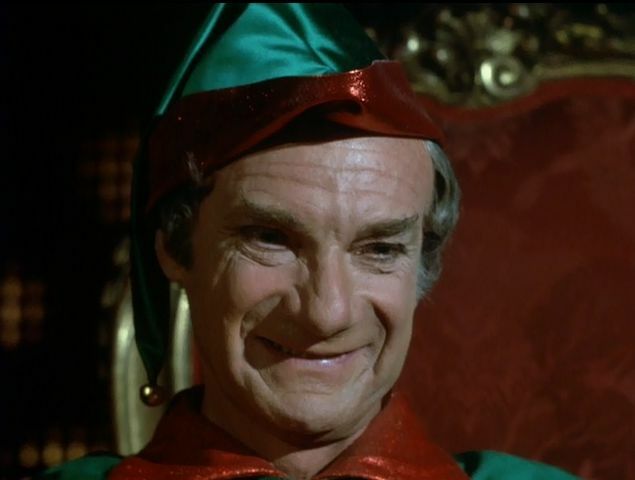 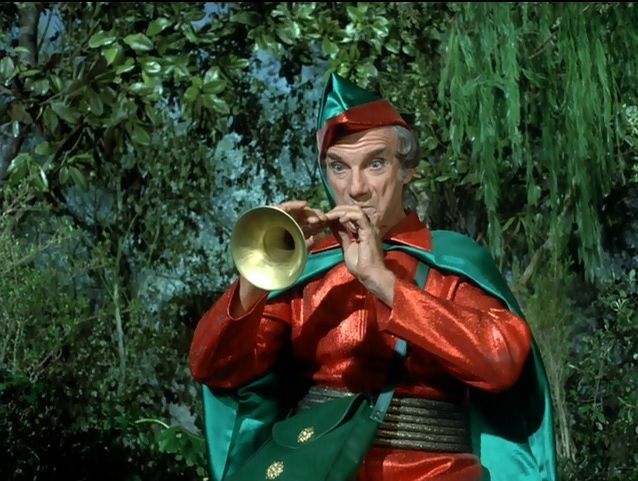 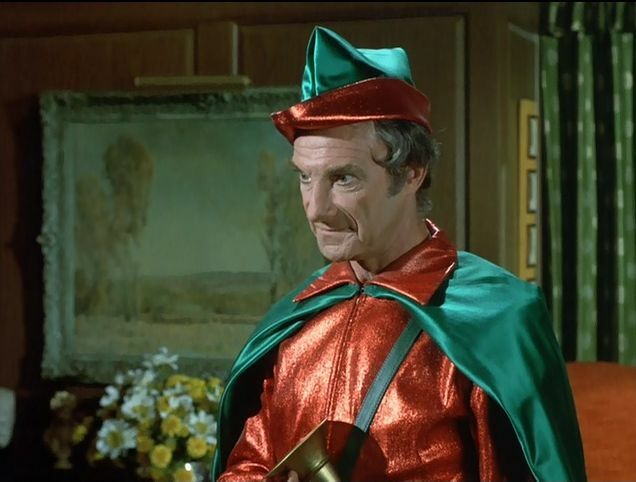 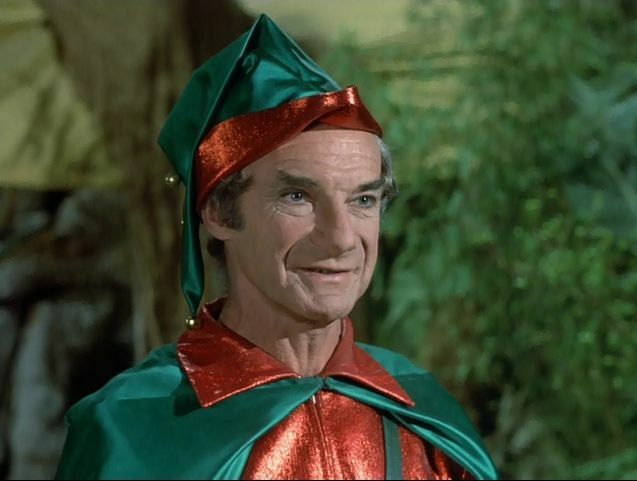 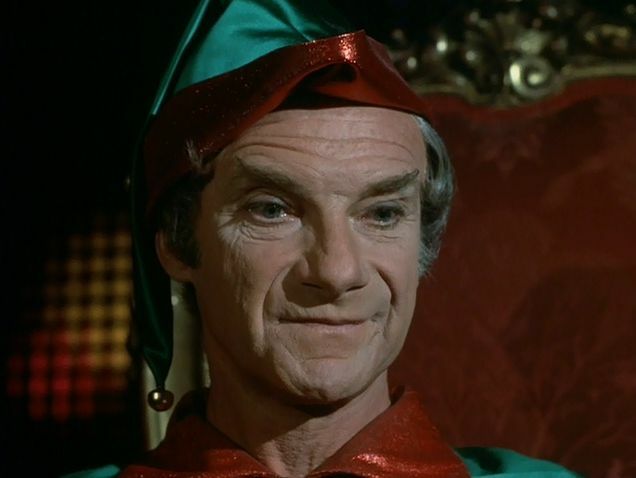 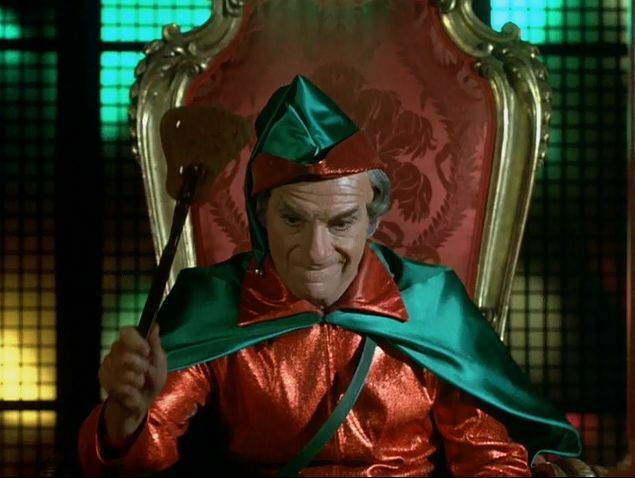 From Voyage, Paul Trinka, Arch Whiting and Robert Dowdell were featured in several Giants episodes, Time Tunnel's Wesley Lau, Lee Meriwether, Robert Colbert and Whit Bissell showed up, but one and only one star of Lost in Space appeared-Jonathan Harris, the nefarious Dr. Zachary Smith, here as the infamous Pied Piper of Hamelin in the "Pay the Piper" episode. 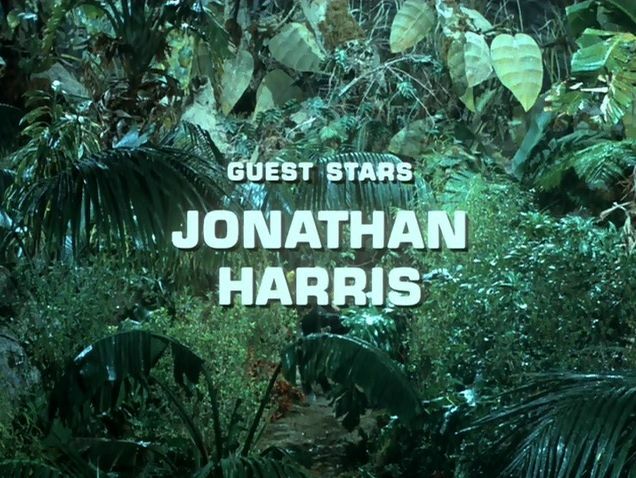 Handled by any of the other actors from Allen's stable this dismal Richard Shapiro script could have been a totally unredeemable disaster; thanks to Harris it's at least watchable. 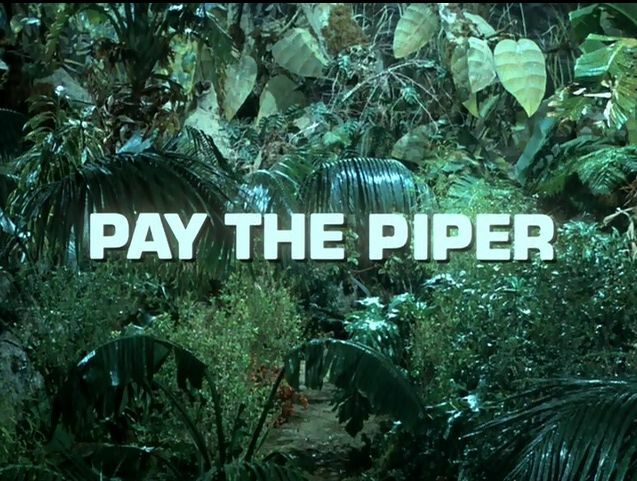 In the story the Piper is an alien entity who has traveled the universe as a bounty hunter, dedicated now to capturing the little people from Earth and turning them over to their giant tormentors for a monetary reward. 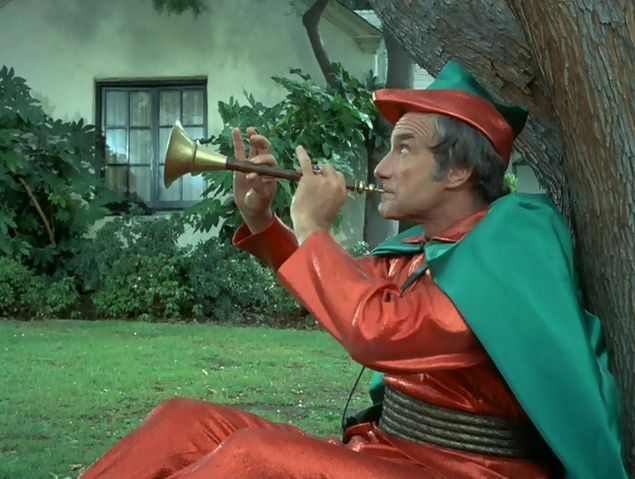 In last year's Behind the Land of the Giants (from the Attack of the Monster Reviews section of this website) there are more fascinating photos from "Pay the Piper" as well as a story regaling a Smithian encounter between Jonathan as the Piper and "Myra Breckinridge" director Michael Sarne that is a "necessary read' for GIANTS' fans as well. 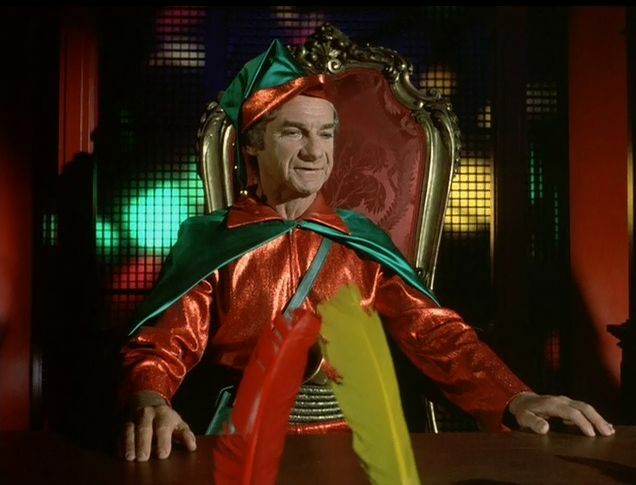 Jonathan Harris relished this role as he did the role of Dr. Smith. 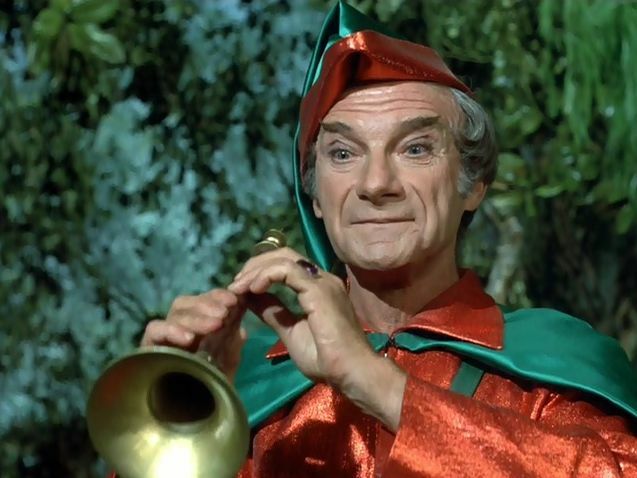 He loved larger-than-life characters and during his long and varied career, cut short by his untimely death in 2002 at the age of 87, lent his vocal and acting talents to a plethora of performances that delighted young and old audiences alike.